In reaction to the rise in cases of Diabetes worldwide. It was decided to choose a day of the year to raise awareness of the disease and related causes. 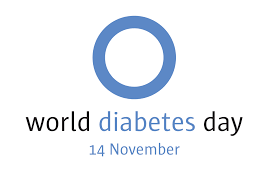 World Diabetes Day was first introduced in 1991. It founded by both the International Diabetes Federation and the World Health Organization. Interestingly, the day chosen was the birthday of Sir Frederick Banting. He was a medical scientist who co-discovered Insulin and was the first person to use it on humans. Moreover. various events around the world mark the day. Including raising awareness in the media, lectures and conferences, sporting events, and leaflet/poster campaigning. “Going blue” is another global event to mark the day, where people wear blue, to help spread awareness of the day.